If your Windows 10 pinned taskbar icons disappear or become invisible, but you can still launch programs using those icons, here's how to fix this issue. When you pin programs to taskbar, it is quite easy to access them. But if your taskbar pinned programs (icons) are disappearing or becomes invisible, this article is for you. This is one of the common Windows 10 issues users came across once in a while. In this case, the program remains pinned to taskbar. 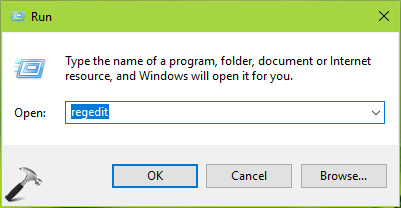 You can even click on the program icon to launch program but the icon is actually invisible (refer below shown screenshot). If you remember what program you’ve pinned to that area, this might not be more challenging. But if you pin a lot of programs to taskbar, this needs to be fixed to avoid creating more issues. 1. Try to unpin invisible taskbar icons and re-pin them to taskbar, see if this works. 2. Reboot the system and check if the icons are visible after restarting your system. 3. Run the System File Checker scan or run DISM commands to repair inbox corruption. 4. Try clean boot. Just run msconfig command, go to Services tab and check Hide all Microsoft services and then hit Disable all button. Reboot and check the status of issue. Do this step-wise, for each programs, one-by-one disable the corresponding services and keep checking, see if the issue resolves. If above suggestions didn’t helped, try clearing icon and thumbnail cache (FIX 2). This problem may occur if icon, thumbnail cache are corrupted on your system. Recreating these caches may solve this problem. If issue still persists, go ahead and try FIX 3. After restarting your system, you’ll notice that issue has been resolved.